Chelsea are weighing up a move for Roma left-back Emerson Palmieri as an alternative option to Juventus’s Alex Sandro, Goal understands. The Blues are in the hunt for a new left-sided defender in the January transfer window and have long held an interest in Alex Sandro. Emerson's entourage had talks with Chelsea last week while they were in London to hold discussions with Arsenal regarding the Gunners’ interest in signing Malcom from Bordeaux. Chelsea's initial approaches for West Ham striker Andy Carroll have revealed a difference in valuation between the clubs and progress over a move could be slow, Goal understands. Carroll is thought to be keen to take the opportunity at Chelsea, but West Ham have so far been inflexible over their £20 million asking price, after initially rejecting the idea of a six-month loan move. West Ham want Michy Batshuayi to be included in any deal that would see Andy Carroll joining Chelsea, according to the Daily Telegraph. The Blues had hoped to bring the England international to Stamford Bridge on a loan deal, but the Irons insist they are only interested in letting Carroll go on a permanent basis. They would listen to offers of £20 million plus Batshuayi on loan for the former Liverpool man, though both Sevilla and Borussia Dortmund have also registered an interest in the Belgium international. Chelsea are not in the running to sign Alexis Sanchez from Arsenal. The Blues have decided not to rival Manchester United for the Chile international, who interested Manchester City prior to them pulling the plug on interest of their own. 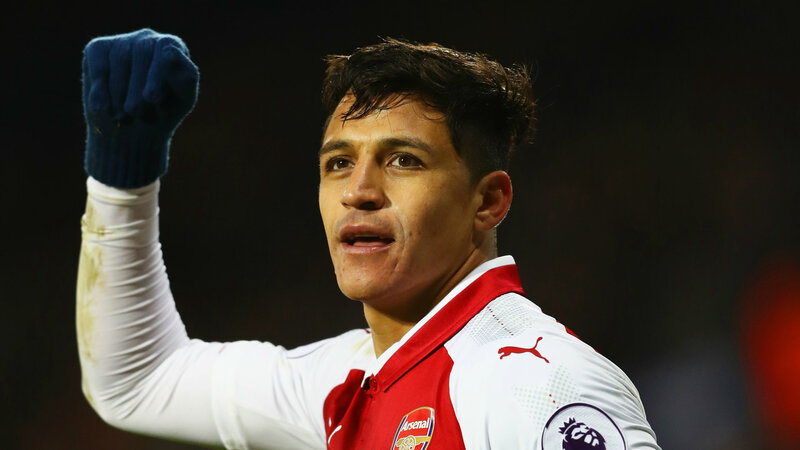 Alexis is understood to want between £350,000-£400,000-per-week to leave the Gunners, and Chelsea have baulked at the costs involved in pursuing the 29-year-old. Borussia Dortmund have targeted Michy Batshuayi as the man to replace Pierre-Emerick Aubameyang should he move to Arsenal in January, Bild reports. Although the German side had intended to hold onto Aubameyang until the end of the season, the Gunners are pushing to sign him this month, forcing Dortmund to look at potential successors. With Chelsea willing to let Batshuayi go, Dortmund could be able to land the Belgium international to lead their attack. Chelsea are stalling on Sevilla's loan approach for Michy Batshuayi until they can complete a deal for Andy Carroll. The Blues are wary of further undermining their depth up front, even though the Belgian favours a temporary move away from Stamford Bridge. Ross Barkley will have to wait a while longer to make his Chelsea debut as he is ineligible for the FA Cup third round replay against Norwich City. West Ham manager David Moyes dismissed reports that Premier League champions Chelsea have made contact in their pursuit of striker Andy Carroll. "They have not made contact with me, so if they have made contact with someone else I don't know about it," Moyes said following Tuesday's 1-0 win over Shrewsbury in the FA Cup. Antonio Conte is refusing to comment on reports that Chelsea could swoop in for Alexis Sanchez in the current transfer window. "I like to [only] talk about a situation that could be real. You understand?" Conte said to reporters at Cobham Training Ground. Manchester United's main rivals to sign Alexis Sanchez' now appear to be Chelsea after Manchester City dropped out of the race, reports the Manchester Evening News . But United have not landed their man yet, with Chelsea also in the running and with the £35 million fee potentially being pushed up even further.